The Pistols of CSGO: Fair or Unbalanced? CS:GO Pistols: Fair or Unbalanced? It has been a long debate on whether these pistols need changes. When it comes to Counter-Strike: Global Offensive, pistol rounds are often the determining factor of whether one wins a game, if not statistically then mentally. Winning a pistol round can give teams the confidence boost they need to take the game to 16 rounds. Much like the game itself, the pistols in CS:GO are very statistically diverse, yet built to remain stable and not overpowered. Many players, however, disagree with this and believe some pistols need some changes to bring them in line with the others. To figure out just what the community thought, we hosted a Twitter poll asking which pistols you guys thought were the most overpowered and in need of changes. The Tec-9 does 130 damage to an unarmored head and 118 to an armored head. Alternatively, it does 33 damage to an unarmored chest and 29 to an armored chest. The Five Seven, on the other hand, does 126 damage to an unarmored head and 115 to an armored head. Alternatively, it does 31 damage to an unarmored chest and 28 to an armored chest. 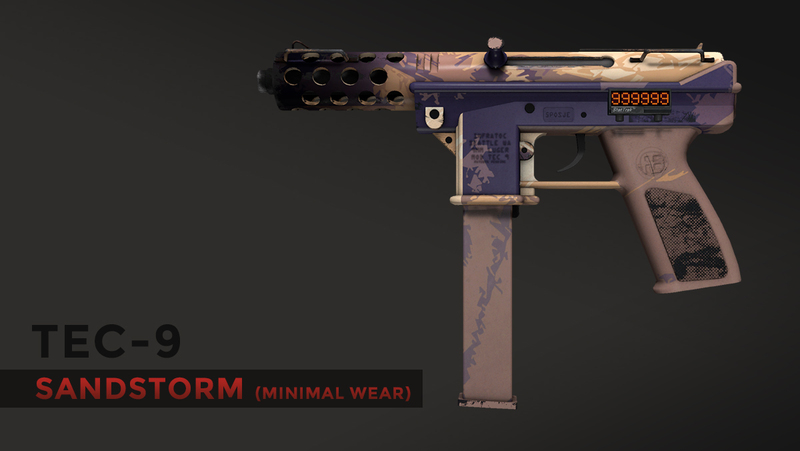 This is a significant upgrade from CS 1.6, where the Five Seven did 76, 57, 19 and 14 damage in the same categories. To compare this to another pistol, say the P250, it does 138, 107, 34 and 26 damage. This means it does more armored head and unarmored chest damage than the Five Seven and Tec-9. On the rifle side, the M4A4 does 131 damage to an unarmored head, 92 to an armored head, 32 damage to an unarmored chest and 23 to an armored chest. This means that it does less overall damage than the Tec-9 across the board and less than the Five Seven against an armored head and chest. This means a Tec-9 and Five Seven can one shot someone in the head anytime, while the M4A4 can only do it against an unarmored head. There was also this infographic floating around Reddit regarding the results of teams who won both pistol rounds across a number of different maps. It could be real, it could be fake, so as always, take it with a grain of salt. In the end, are the Tec-9 and Five Seven unbalanced? Yes and no. It all depends on skill, in most cases, meaning that someone who is skilled with any other pistol, be it a USP or a Desert Eagle, could very easily take out a Tec-9 or Five Seven player. All in all, it’s up to Valve to decide if any of these pistols are truly unbalanced.